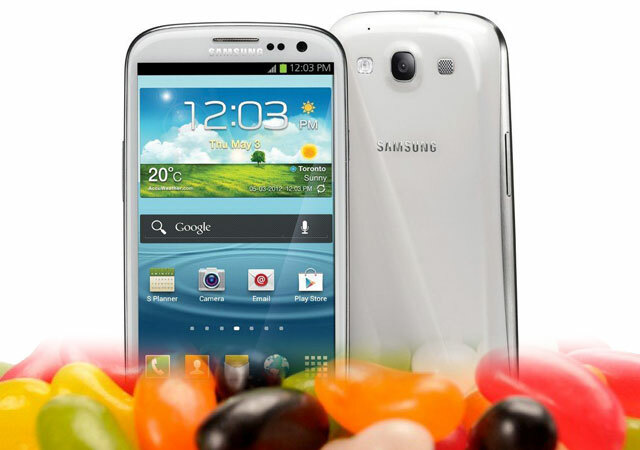 The international version of Samsung Galaxy S3 already received the much anticipated Android 4.1.2 Jelly Bean update. Carrier-branded versions should be able to receive the update soon as Samsung is railroading updates for its devices. However, for those who couldn’t wait any longer, there is a common workaround; manually flash the firmware into the device. Of course, this is just for people who are willing to take the risk because manual updating is not always safe for your device. Make sure you have at least, 60% of battery. If you are near the power source, it would be better to just plugged the charger in. Back up all your data including your files saved inside your phone’s internal memory. There were reported cases that data were lost during a manual update process. Download the following necessary files: Android 4.1.2 XXELKC OTA Update and ODIN 3 v3.04.zip. Disclaimer: You should know that manual flashing may void your device’s warranty and that you are putting your device at risk. The success of this process depends entirely on how faithful you are to follow the steps below. Manually update your device at your own risk. You can never blame us if anything goes wrong with it. Extract contents of Android 4.1.2 XXELKC package and look for “.tar” or “.tar.md5″ file. Once you found it, place it in a directory you can easily access. Extract contents of the ODIN 3 zip file and save it on your desktop. Turn your Samsung Galaxy S3 off. Please note that you don’t have to remove the battery to turn it off completely. Now boot your phone into “Download Mode.” You can do so by pressing and holding three buttons simultaneously: Volume Down, Home and Power buttons. To confirm you want to boot into download mode, press Volume Up button. Now launch ODIN 3 v3.04.exe. You may now connect your Galaxy S3 to your computer and ODIN should notify you immediately once your phone was “added.” Otherwise, install necessary drivers into your computer and make sure to check if USB debugging was enabled in your phone. Using ODIN, click the “PDA” button and browse through the directory where you have saved the “.tar.md5″ file; it contains all necessary Jelly Bean files needed for your device. Now click on the “Start” button to begin flashing. Make sure you can’t press any buttons in your computer or phone during the process. It shouldn’t also be interrupted as it may brick your phone. Wait until ODIN displays a message saying “PASS.” It means that the update process has been successful. Your phone, however, will be rebooted automatically. Wait until it’s fully active before disconnecting it from your computer. Being one of millions of owners of a powerful device like Samsung Galaxy S3, I don’t have to tell you the features and goodies Android Jelly Bean comes packed with. All credits go to XDA Developers for showing us how to manually flash Android 4.1.2 Jelly Bean into Galaxy S3.